The TCBSBM apologizes to our members and the public as a whole as a previous posting of bylaws was incorrect. We also apologize for any confusion that may have resulted due to the posting. Below are downloads for our TCBSBM mission and bylaws as well as a signed final page. Sharon was a School Board President in the DeSoto Board of Education and an advocate for public education having served on the DeSoto Board of Education since May 2002. Her Husband Kenneth Kenneth Ray Sternes passed away on August 29, 2009. Sharon presented the Texas Caucus of Black School Board Members with a $2,000 education scholarship in memory of her husband after he passed. Sharon passed away on Friday, Jan. 7 after a lengthy battle with cancer. She leaves two sons Rainey Alan Sternes and Ryan Jewel Sternes. "I believe that a well‐funded public educational system is essential if the United States is to remain a free society and maintain its leadership role in the world. We must educate all of our children regardless of their status in life. This requires a belief that all children can learn and a willingness to provide the necessary resources to educate them. I'm willing to pay my fair share to have a free public education accessible to all of our children, so that's one of the reasons I serve voluntarily on the school board." Edd White was elected to the North East Independent School District Board of Trustees in 1996 and was re‐elected to his fifth term in 2014. 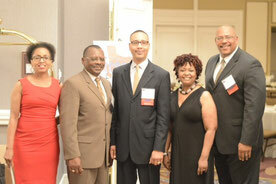 He has served as Vice President and President of the Board. 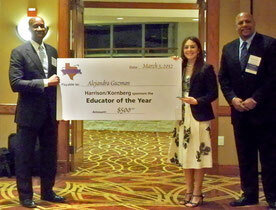 Edd represented the District on the Texas State Association for School Boards (TASB) from 2000 to 2010. 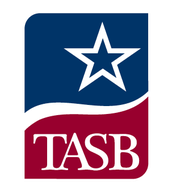 At TASB he served on the Bylaws, Nominations, Legislative and Budget Committees and was Chairman of the Resolution Committee. He has served on several state and national panels and task forces on educational issues during his years of service as a trustee. Edd graduated from Dunbar High School in Livingston, Texas and received his bachelor's and master's degrees from Prairie View A & M University. In 2013 he was awarded an honorary Doctor of Divinity degree by the San Antonio Theological College. After graduating from college Edd served three years in the United States Army. Upon his discharge from the Army he began a teaching career at Eason's Institute of Technology where he taught Automotive Technology for eight years. His next employment was with the Texas Rehabilitation Commission as a Rehabilitation Counselor. During this employment he was very active in the rehabilitation professional organizations. He served as President of the Texas Public Employment Association, President of the San Antonio Area Rehabilitation Association, President of the Texas Rehabilitation Association and the five state Southwest Regional Rehabilitation Association. 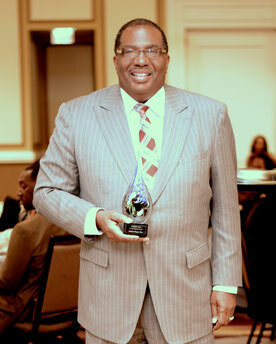 Edd retired after twenty‐five years of employment with the Texas Rehabilitation Commission. Edd is active in his church where he serves as a Deacon and Sunday School Superintendent. He and his wife Hattie have three sons who are successful North East and college graduates.